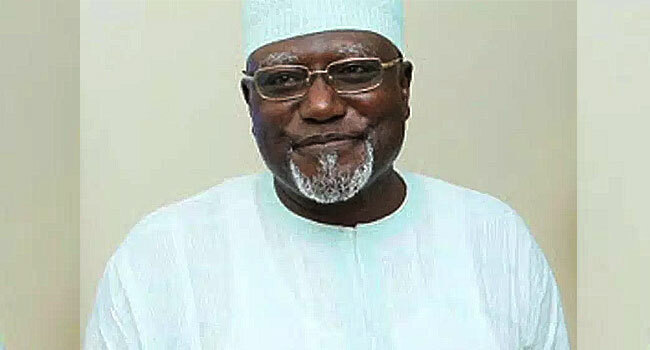 A former military governor of Kaduna State, Colonel Abubakar Umar (rtd), has said that the sack of the Director General of the Department for State Services (DSS), Lawal Daura, is not enough and therefore insists that the Federal Government must investigate him. In a statement on Friday, Umar said that he (Daura) might constitute a threat to Nigeria’s democracy if the Federal Government fails to investigate him. According to the former governor, he had in the last three years of leading the DSS created for himself, “a government within a government in Nigeria”. He, therefore, stated that the probe should cover the whereabouts, as well as the condition of all the assets handed over to him by the immediate past DG of the DSS, Ita Ekpeyong. He said: “Without a doubt, the summary dismissal, last week, of Alhaji Lawal Daura, Director-General, Department of State Services, came as a big surprise to many people. It seemed to contradict the world order! “There was hardly any observer of the turbulent Nigerian political scene over the last several years who still believed that Lawal Daura was subject to any laws not to speak of official code of behaviour. “But on Tuesday, the 7th of August, 2018, Acting President, Professor Yemi Osinbajo, signed a terse, two-paragraph letter telling Lawal Daura that he has been dismissed from office. Not only that, Professor Osinbajo also ordered Lawal Daura be arrested and remanded in police custody. “And yet, in the interest of our democracy, to guard against unexpected threats and conspiracies, the action taken by the acting president must not stop halfway. The government should seek to discover the motives as well as the explanation for some of those crazy manoeuvres, many of which simply beggars belief,” Umar said. According to him, some of the areas the former DSS DG should be probed about should include reasons why he allegedly deployed SSS operatives and prevented EFCC personnel from searching the residences of Mr Ekpenyong and former NIA DG, Mr Oke. Umar also called for an explanation why Daura continuously and in blatant defiance of the president allegedly sent false reports to the Nigerian Senate that frustrated the confirmation of Ibrahim Magu as substantive chairman of the EFCC, among others.